“It’s a question of leaving fathers a legacy” is the clear, albeit complex message at the heart of “Padre e Figlio” (Father and Son), an exhibition (from 17 April to 13 October)curated by Alberto Fiz that compares the works of Michelangelo Pistolettoand his father Ettore Pistoletto Olivero in three venues in the Biella area: Palazzo GromoLosa, Cittadellarte – Fondazione Pistoletto and Casa Zegna. Through the works on display in this exhibition (produced by Cassa di Risparmio di Biella, Cittadellarte – Fondazione Pistolettoand Fondazione Zegna) and in the video-dialogues with the curator and Anna Zegna, Pistoletto presents the father-son relationship in an unusual manner, by no means one-way: leaving fathersa legacy instead of giving sons all the responsibility forcommunicating their parents’ knowledge and passions. “This rich and variegated exhibition provides a reading, on different levels, of a theme of great topicality,”explains Alberto Fiz. “Looking at the dialogue between Michelangelo Pistoletto and his father it’s possible to explore the concepts of historical time and subjective time, but also the need to accept differences, from which even intimate complicity may result.” Over a hundred works are on display, including paintings, mirror pictures, installations, lightboxes, videos and photographs. 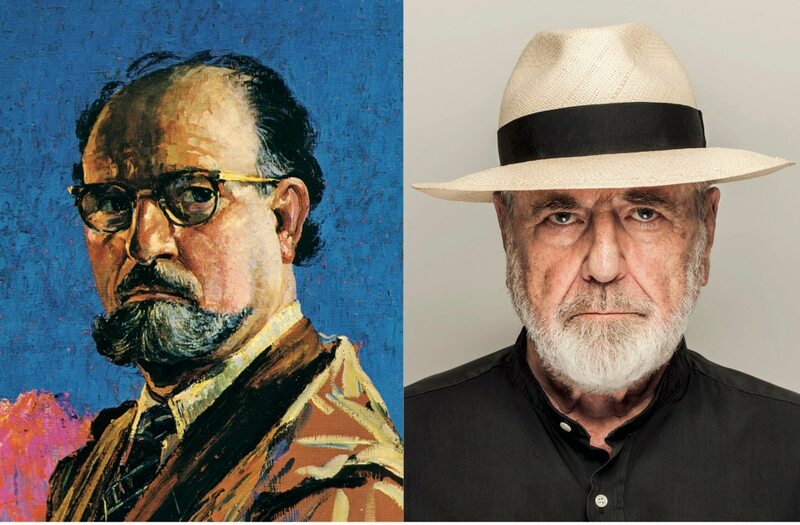 The initiative comes at a rather interesting time, in a yearin which the city of Biella has applied for admission to the UNESCOnetwork of creative cities and appointedMichelangelo Pistoletto himself asthe project’s official ambassador. The first works commissioned by the Zegna family from Pistolettosenior were in 1929, when Ermenegildo, the famous founder of the company, who was convinced that business should treat its social and cultural responsibilities seriously, asked Ettore to produce a cycle of graffiti on the art of wool (L’arte della Lana). Today, Fondazione Zegna is a partner in many Cittadellarte initiatives, including the Visible project and UNIDEE – UniversitàdelleIdee. There was an event entitled “Padre e Figlio” back in 1973 and this was the germ, after a second initiative entitled “Ettore e Michelangelo. I coetanei” (Ettore and Michelangelo. Contemporaries), of what is now offered as the ideal conclusion to a trilogy. Palazzo GromoLosa is the first stage of the exhibition path and centers on the mirroring between the works of Ettore and those of Michelangelo Pistoletto. Portraits, self-portraits, Ettore’s still lifes and Michelangelo’s mirror paintings. Some of the works, such as L’arte assume la religione(Art assumes religion) (1980), are only exhibited on rare occasions. Father and son become “contemporaries” through art, as suggested by the 1973 lightbox, in which both are portrayed at the age of 75. Casa Zegna, in Trivero, is the venue for what is mainly a tribute to Ettore Pistoletto Olivero. On public view for the first time are certain of his paintings from 1952-1953 showing different stages in the construction of the Panoramica Zegna, the scenic route created by Ermenegildo Zegna and now part of the big Oasi Zegna nature reserve. The paintings and photographs surround Metamorfosi, a 3 meter tall installationin the middle of the room. In the adjacent wool mill, on the other hand, is Ettore’s most important cycle of paintings, ten works on The art of Wool, onmobile panels. Cittadellarte – Fondazione Pistoletto, which completes the exhibition, features Padre, figlio e creatività (Father, son and creativity), one of the installations in the cycle“Le Stanze”(The Rooms) produced in 1975 in Galleria Christian Stein. It offers a multimedia presentation of the Visible andUnideeprojects interspersed with portraits by Ettore, including “Le trefiglie di Zegna” (The three Zegna daughters), a family group from the MARTon display for the very first time, and clips on the father-son relationship according to the people of Biella. The exhibition is accompanied by three videos produced for the occasion: “Self-portrait through my father”(dialog between Michelangelo Pistoletto and Alberto Fiz), “Leaving fathers a legacy”(conversation between Pistoletto and Anna Zegna), and “The art of Wool”(here, taking their cue from the cycle of paintings of the same name by Ettore Pistoletto Olivero,Pistolettoand Anna Zegna compare traditional wool working techniques with today’s production process).